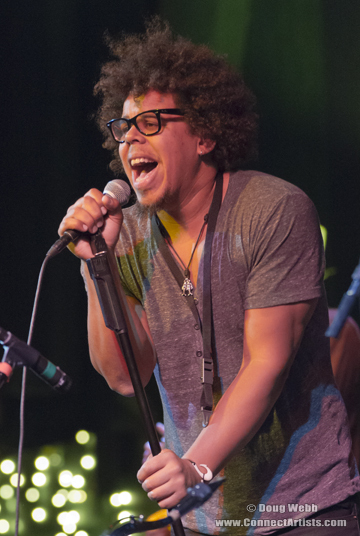 Jake Clemons performed in New York last month. 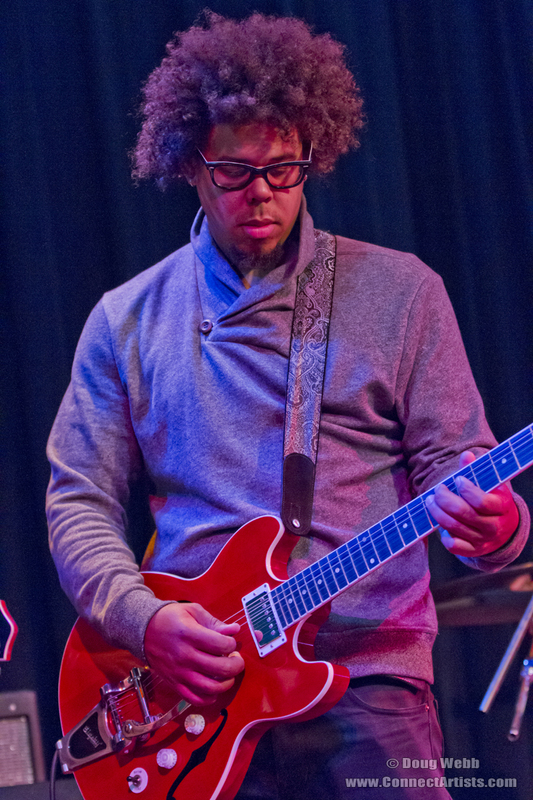 Two things might surprise you if you go to see Jake Clemons Friday at the Cedar Cultural Center. 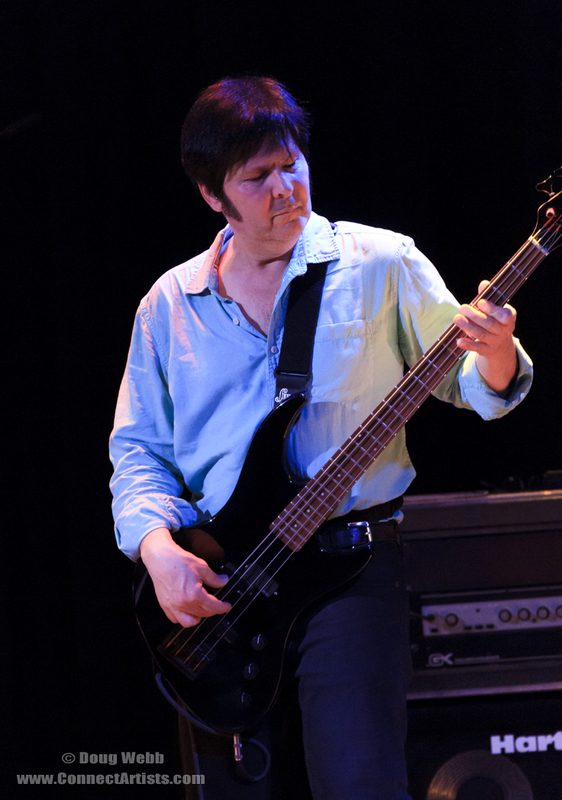 Clemons, a saxophonist in Bruce Springsteen & the E Street Band, will be playing mostly guitar. Although Clemons lives in Virginia, he likely will have lots of relatives at the gig. Did he get to see any concerts during those days? The quintet — which includes bassist Jason Crowgey, Clemons’ pal since age 13 — has been together since 2010. But they haven’t played very many gigs because Clemons was recruited in 2012 to join the E Street Band along with an expanded horn section and backup singers. With Clemons and Max Weinberg’s son Jay occasionally sitting in on drums, has the group morphed into E Street Band: The Next Generation? Clemons, 33, started on piano at the insistence of his father, a Marine Corps band director who was Clarence’s younger brother. 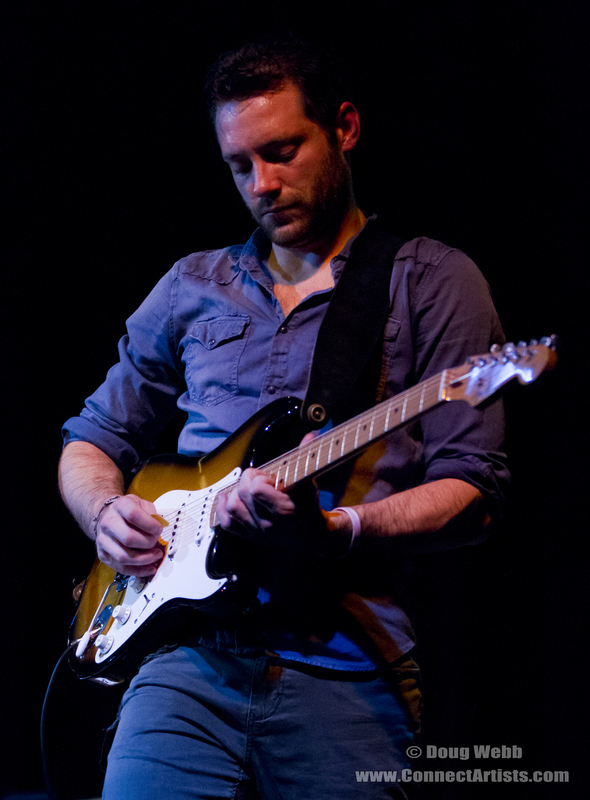 After seeing his uncle play with Springsteen, Jake attended the Virginia Governor’s School for the Arts to study jazz performance. At 16, he got his first paying gig — alongside Clarence at President Bill Clinton’s 1993 inauguration. 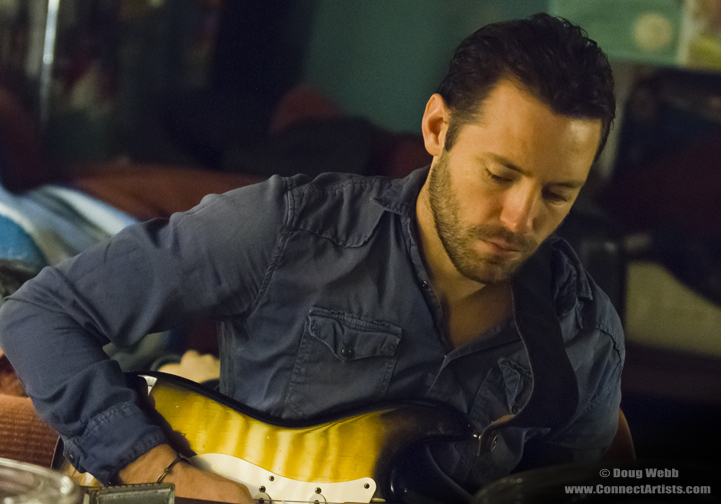 Since then, Jake has graduated to playing with Eddie Vedder, Glen Hansard, the Roots and Will Smith. Clemons was very close to Uncle Clarence. Jake joined him often on Springsteen’s Magic Tour in 2007-08 when Clarence was in dubious health; he died in 2011 of complications from a stroke. Starting in January, the E Street Band is headed to South Africa, Australia and New Zealand. Will there be a new Springsteen album next year? But he’s squeezing in a few gigs with his own band — August marked their first show in two years — as well as the release of his second EP. Clemons has had the Minneapolis gig circled on his itinerary for two reasons. All photography below by Kim Reed. 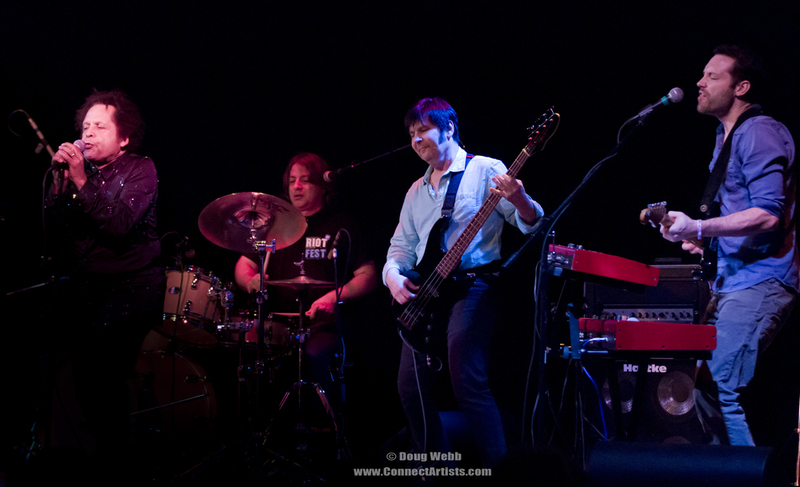 Jake Clemons, right, opened for Garland Jeffreys in Minneapolis last weekend. 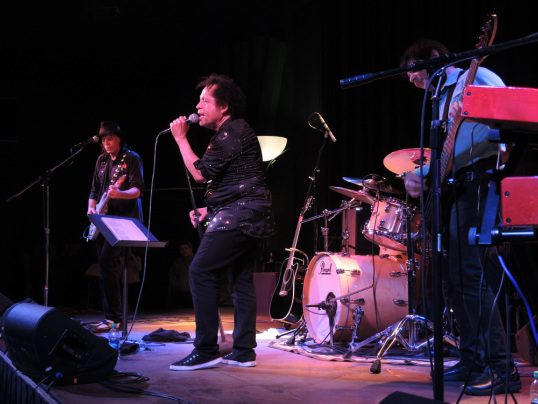 Note: Blogness correspondent Kim Tschida Petters took in the Jake Clemons/Garland Jeffreys show in Minneapolis Nov. 15, and was nice enough to file this report. 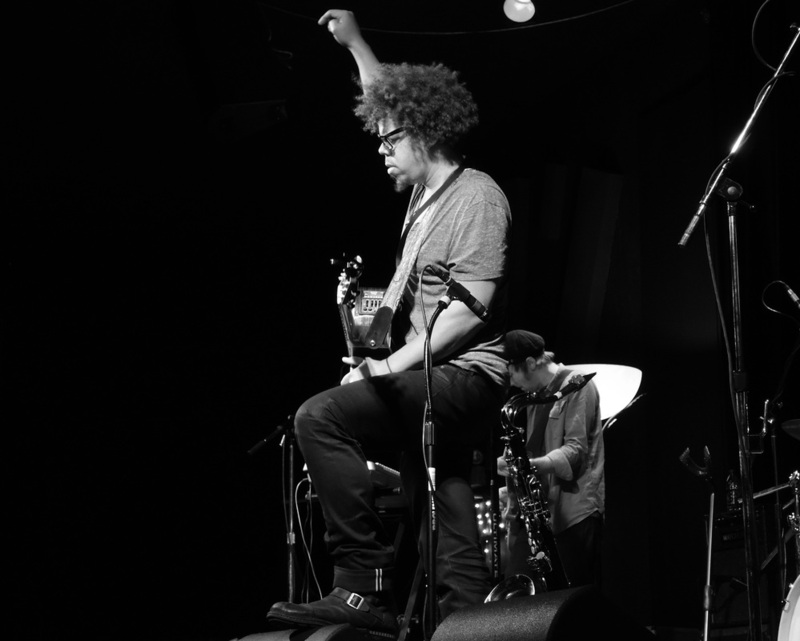 “Hail Hail Rock and Roll” seemed to be the mantra Friday night at the Cedar Cultural Center in Minneapolis: a double bill with Jake Clemons opening for Garland Jeffreys. I was excited to see Jake perform songs from his new EP, “It’s On.” As he toggled among the guitar, the saxophone and the keyboard I was happy to see a young artist and his band making their way. The songs are powerful and engaging and his stage presence welcomes you. I couldn’t help but think what it must be like going from a stage that faces 60,000 people who scream at your moves to a room of maybe 200 people who are sitting in folding chairs as though they are watching a movie. Perhaps this is what impressed me the most – Jake and his band still gave us all of their energy. They were excited and that was obvious. The alt/rock songs are strong and a bit edgier when performed live, and this 45-minute set was the perfect rock sneak peak into what is to come from Clemons. Not to mention the perfect opening to a night with Garland Jeffreys. From the moment Jeffreys, the 69-year-old NY-based rocker, stepped on stage he commanded and delivered his song, and his anthem. Styled in black pants and a black sequined shirt, Jeffreys played songs from his new album, “Truth Serum,” as well as favorites from his long and prolific career. His energy is inspiring and his voice is mesmerizing and strong. As he sang “I used to be a contortionist” and moved about the stage, I had to wonder if it might be true. He jumps into the audience, engaging them as he goes along. Then back to the stage for more. I must confess I’m rather new to the music of Garland Jeffreys but knew somehow that a transformation was about to take place. That somehow in that room of 200 people and a rock and roll band – I became the lucky one. The new one in the know. 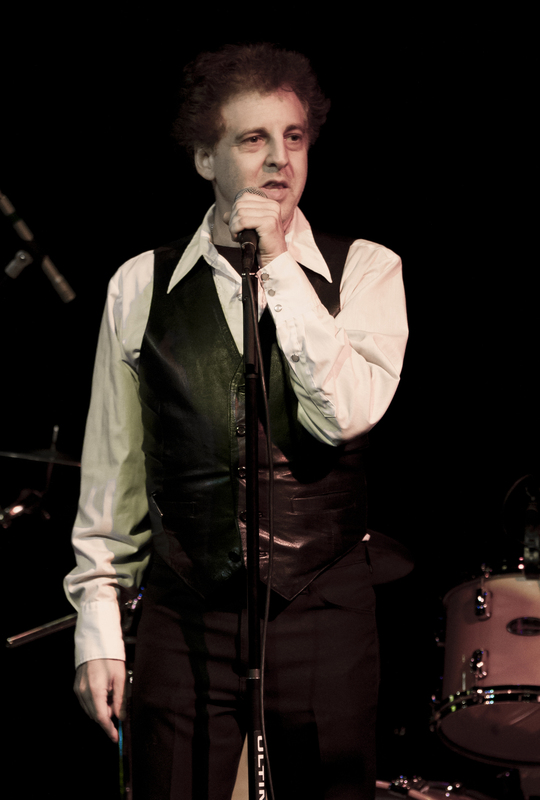 “Rock and Roll saved my life and saved my soul!” Jeffreys belts out – that is what this night is about as he conveys tales of race, of growing up in New York, and his long friendship with Lou Reed. Something magical happens when an artist like Jeffreys performs and “Rock and Roll Music!” transforms. For more on Garland Jeffrey’s tour, visit garlandjeffreys.com. 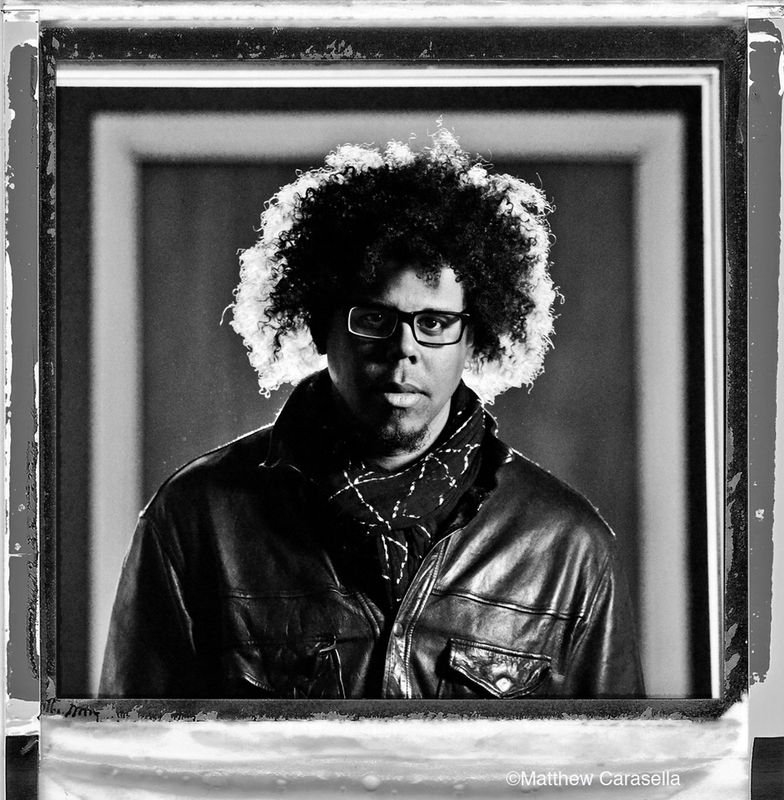 For info on Jake Clemons’ appearances and new EP, visit jakeclemons.com. “Sound City.” Dave Grohl’s engrossing documentary about buying the original Neve sound board from Sound City music studio in Van Nuys, Calif. This board dates back to Buckingham/Nicks before Fleetwood Mac, and recorded many hit albums including Nirvana’s masterpiece, “Nevermind.” That album is credited with basically saving Sound City from bankruptcy. Great music and interviews throughout, highly entertaining. Fountains of Wayne, First Avenue. Power pop from three guys who look just like schlubby surbuban dads blissfully paired with a lead guitarist who fits every stereotype of the rock star look to the point you think he’s just jamming with FOW until Aerosmith’s jet picks him up. “Closer Radiation Vibe” was a criminally underappreciated blast. “Back to Forever,” Lissie. I grew up across the Big Muddy from this Rock Island, Ill., woman. Kicked out of her high school, she bailed for California and her rise is looking meteoric now. Her voice channels Stevie Nicks, and live Lissie has always mentioned that Minneapolisis one of her favorite towns to play. She performs Saturday at the Skyway Theatre. Gary Clark Jr., First Avenue. 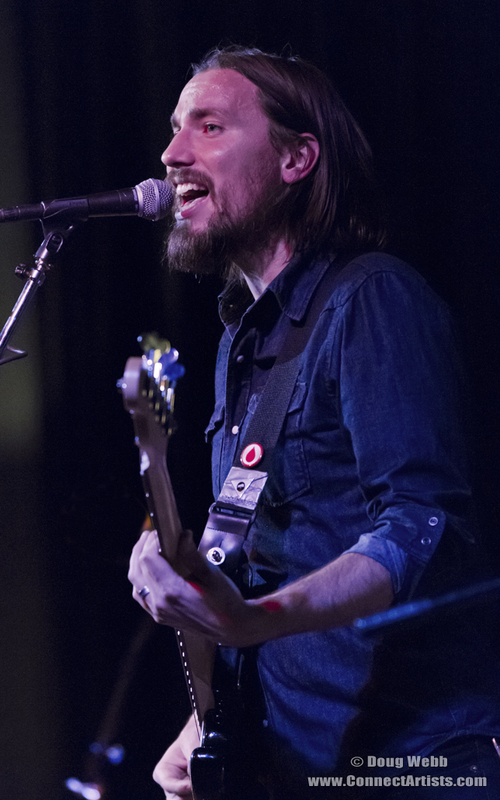 Offering several shades of blues, rock, pop and soul, he asserted himself as a true guitar hero in his 110-minute Twin Cities debut. Not only is he a fierce guitarist but he’s an underrated vocalist with grit and range. Bob Dylan, “Like a Rolling Stone” video. Some 48 years after its release, this Dylan classic has received an inspired video treatment featuring montages from 16 different channels of simulated TV programming, starring, among others, rapper Danny Brown, comic Marc Naron, the guys from TV’s “Pawn Stars” and Dylan himself mouthing the lyrics. So just about every time you watch it at bobdylan.com, you see a different version. How does it feel to watch it over and over? 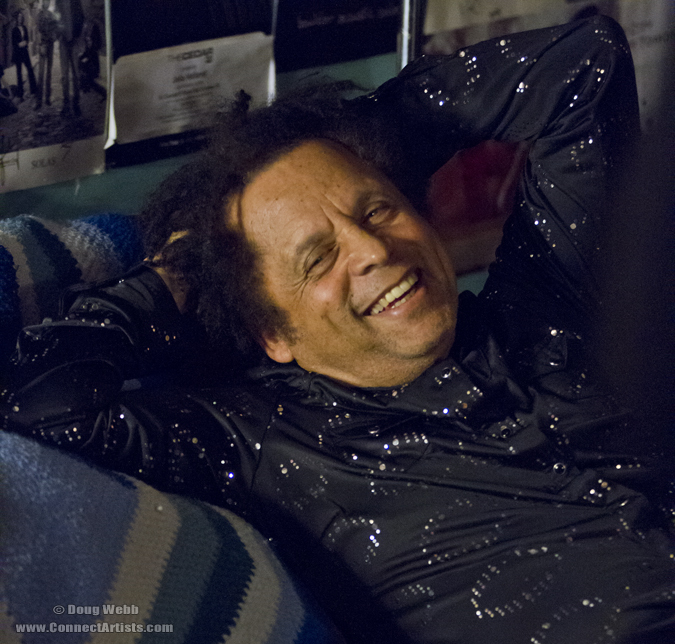 Garland Jeffreys and Jake Clemons, the Cedar. The quintessential New York rocker, Jeffreys found the right tone — whether rocking with his band (featuring ace guitarist Mark Bosch), singing about racism and urban reality, and talking about his pal since their days at Syracuse University, Lou Reed. Opener Clemons was a little Bono, a little Bruce and a little Big Man — a rocker with personality and potential. 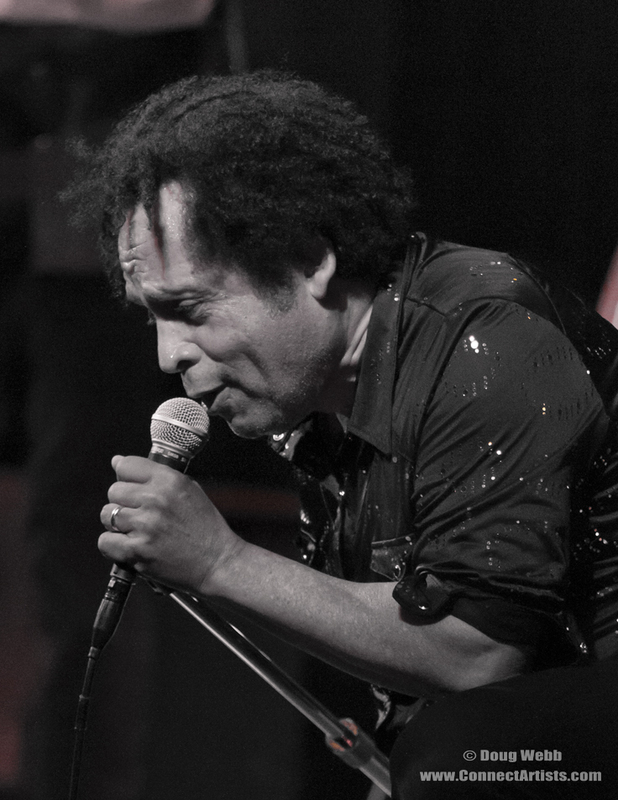 Legendary NYC singer-songwriter, performer and recording artist, Garland Jeffreys and his Band will "R.O.C.K., rock" the roof off The Cedar Cultural Center in Minneapolis on Friday, November 15, 2013.